This case is a failure to diagnose a UTI in a nursing home case. This is a nursing home case. Plaintiffs claim their mother died because the nursing home staff deviated from the standard of care by failing to timely recognize the signs and symptoms of the urinary tract infection (UTI). A woman is admitted to Consulate Health Care ("Envoy") to receive post-hospital rehabilitative care in the form of physical and occupational therapy. Envoy is a Maryland company licensed to administer skilled nursing services. At the time of her admission to Envoy the woman is alert, oriented, and aware of her surroundings. Two weeks into her stay the woman is seen acting increasingly confused and lethargic. She is noted slurring her speech and has difficulty focusing her eyes, telling her nurse that she thinks she has a UTI. It is not until the woman's daughter insists upon it that her urine is finally tested. The laboratory results indicate that the woman's urine is cloudy and thick with bacteria and white blood cells. Her physical symptoms and her urine sample are both indicative of a urinary tract infection. The woman's symptoms continue to worsen during her third week at Envoy. She becomes increasingly lethargic, falling asleep throughout her speech therapy session. The next day she vomits while brushing her teeth and is unable to participate in therapy. This is in sharp contrast to the nursing documentation for that day, which states that the woman was alert and voiced no complaints about her condition. Later that evening the woman is transferred to Northwest Hospital. She is admitted to the Intensive Care Unit after the emergency department discovers that she has septic shock, is malnourished, and her kidneys are failing from dehydration. Approximately two weeks after her admittance to Northwest Hospital, after prolonged pain and suffering, the woman dies of sepsis in hospice care. The woman's daughters file medical malpractice wrongful death and survival claims against the Defendants, claiming that they violated the standard of care by failing to provide sufficient numbers of qualified medical personnel and by failing to properly assess and treat the woman. Their lawsuit alleges that if Defendants had timely and properly treated the woman's UTI, she would not have developed sepsis or kidney failure, and would have survived. Often, nursing home patients get urinary tract infections because of poor hygiene and an inadequate infection control program. Because urinary tract infections are caused primarily by bacteria, if the resident is receiving adequate hygiene and urinary tract care and their hydration is adequate, they should not develop a significant UTI. Allowing a urinary tract infection to persist without medical intervention puts a patient at risk for the infection progressing to a more systemic septic situation, as it did in this case. The allegations are that the nursing home did not see obvious signs of UTI that would have led well-trained staffers to see that she had symptoms suggestive of a UTI. Nursing home need to monitor urine characteristics such as color, clarity, odor, concentration, and output. 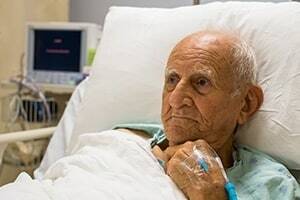 The nursing home should also monitor complaints of urinary frequency, burning, or urgency, monitor for alterations in mental status, lethargy, chills, and fever. Has someone you love suffered from abuse, neglect or malpractice in Maryland nursing home? If so, fill out our free online case review or call us at 800-553-8082. Talk to our nursing home attorneys and learn about your options to pursue a settlement or verdict in your case. What is the settlement value of a nursing home injury or wrongful death claim in Maryland?